The decision to adopt, easy for some and painstakingly difficult for others, is never a decision made without life-altering consequences. It seems as though everyone has an opinion on what you should do. Most often opinions come from those who have biological children and/or have never considered adoption as a means to grow their family. Once the decision to adopt is made, though, the process can seem never-ending, as one decision begets another decision and so on. Should we adopt a boy or a girl, should we keep the birth name, think of a new name, what age range, should we adopt a sibling group, etc. One decision many don’t consider until further along in the process is whether or not the adoption will be closed or open. As an adoptive parent, you have the power to decide. 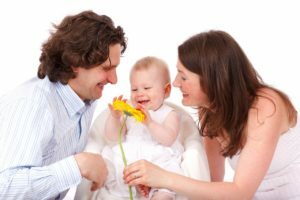 A closed or confidential adoption is one in which an infant or a very small child is adopted and the biological information regarding the birth family is sealed. The sealed records keep information regarding the adoptee and the biological family private. This practice, however, is becoming less prominent, as sophisticated Internet searches are becoming more prevalent. Keeping biological information from an adopted child can also generate a lot of confusion for the child as he or she gets older. However, a closed adoption may also be necessary to protect a child who needs to mature before learning all the facts of his adoption. An open adoption permits contact between the adoptee and their biological family. The contact is usually spelled out in a Post-Placement Contact Agreement and may include one or more emails per year with updates and photographs; the exchange of letters and gifts; a supervised visit; and phone calls. The contact is limited and at the discretion of the adoptive parent(s). The adoptive parents have the final authority to reduce or eliminate contact with the biological family if they believe the family presents a danger to the child. They can do the same if they believe their ties to the biological family are becoming detrimental to the child’s emotional well-being. Open domestic adoptions are becoming more popular in the United States. According to a recent study, the number of open domestic adoptions has increased from 36% in the 1980’s to nearly 95% today. Contact between the adoptive family and the biological family may be minimal at most, but even the smallest amount of communication could prove vital at some point. Having access to medical or psychological information, genealogy, photographs of biological family members, etc., can be invaluable for some and help solidify one’s place in the world. It’s one more decision in the adoption process, but it can be fluid, depending on a child’s needs and the biological family’s background or status year to year. 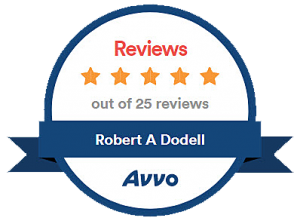 You can get in touch with Robert A. Dodell Adoptions Attorney for a free initial consultation and learn a little more about your options.